Thank you for visiting my Web site. 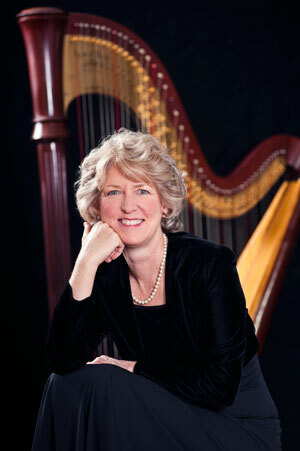 I am a professional harpist in Richmond, Virginia, performing throughout the state. Playing and teaching the harp have been my life's passions since I was first introduced to this beautiful instrument. For over 25 years I have been performing as both an orchestral and free-lance harpist (solo and flute/harp duo), as well as instructing students of all ages and levels. My repertoire includes classical, Celtic, contemporary, and Broadway tunes and traditional favorites. I look forward to talking with you and having the harp become part of your upcoming event or learning experience! Please contact me via e-mail or phone, 804.360.8925, for information on availability and rates.